20 Most Expensive Houston NeighborhoodsFrom affluent River Oaks to exclusive Memorial, we list this year’s most expensive neighborhoods in Houston. Over the last 10 years, many of Houston’s top neighborhoods have been consistently listed among the wealthiest in the nation. Hurricane Harvey had a huge impact on the real estate market. 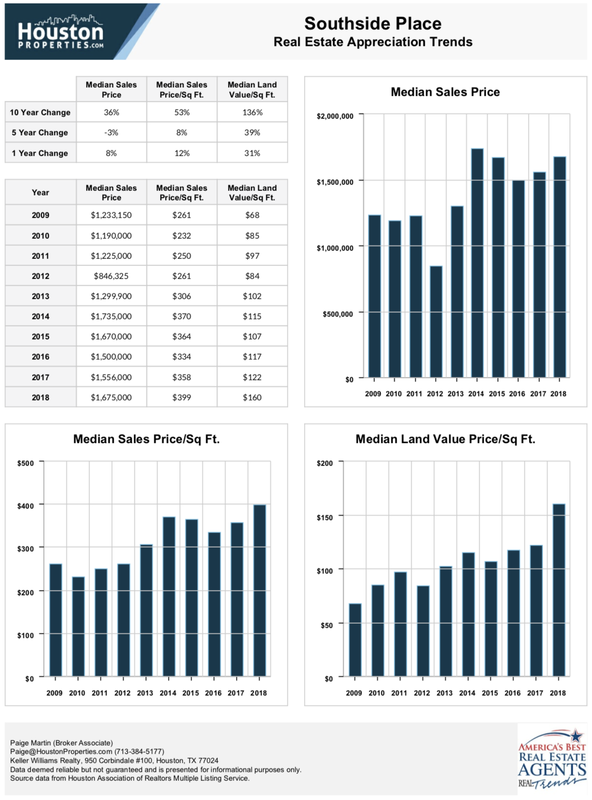 However, the list of Houston’s most expensive neighborhoods remain largely unchanged. We have reviewed over 400,000 home sales over the last 10 years to get an updated list of 2018’s Most Expensive Neighborhoods in Houston. 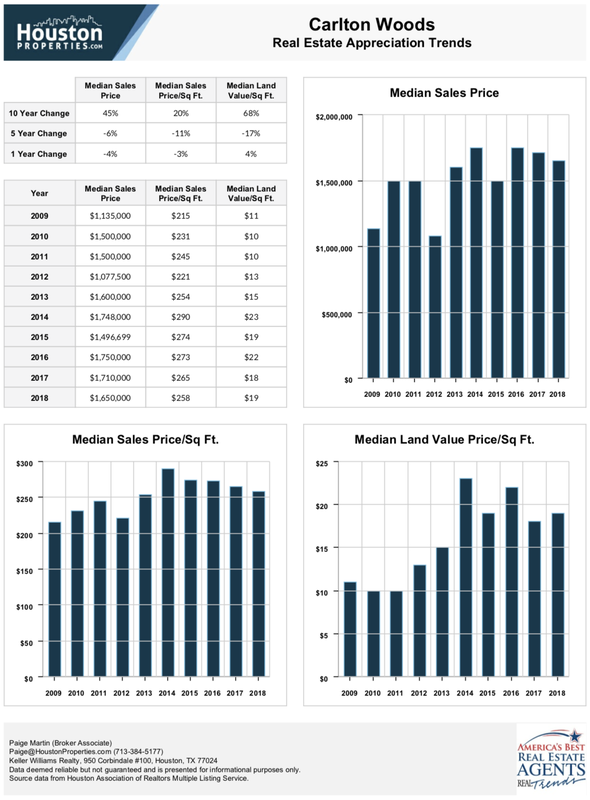 As expected, many of Houston’s most expensive neighborhoods are also, historically, the best performers in real estate appreciation. 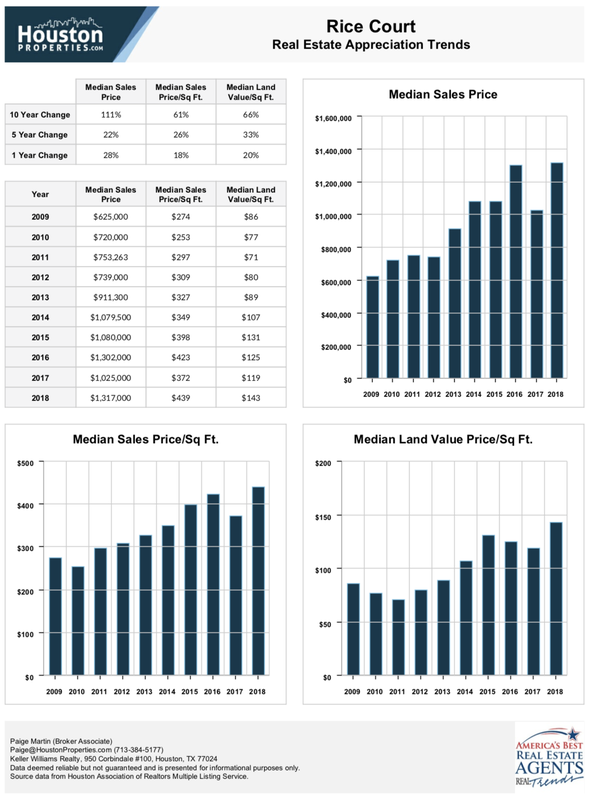 Top performers in land value appreciation and real estate appreciation over the last 10 years. Near the city’s major job centers and entertainment hubs. 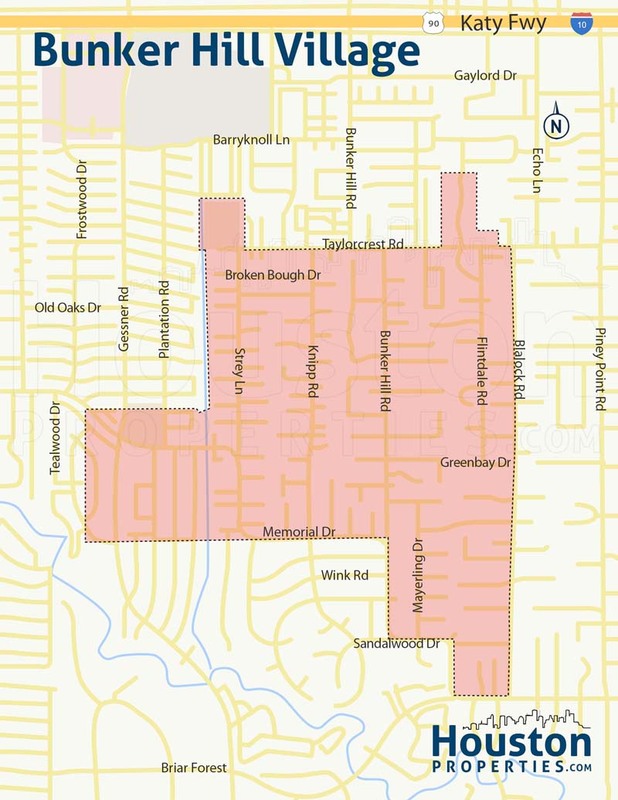 Most of the neighborhoods here are also among Houston’s Most Accessible Neighborhoods. Zoned to some of Houston’s Best Schools. Sectioned to either Houston’s Top Suburbs or Inner Loop’s Best Neighborhoods. 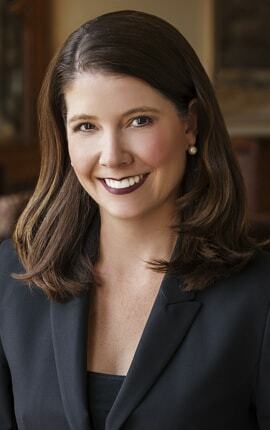 If you’d like to see any specific homes or learn about neighborhoods that are best for you, please contact Paige Martin at Paige@HoustonProperties.com, ranked #1 Individual Agent with Keller Williams in Houston and #9 in the United States. Get the full 40-page Luxury Neighborhood Guide in an easy-to-read Adobe Acrobat format. Save to your desktop or read on your mobile. 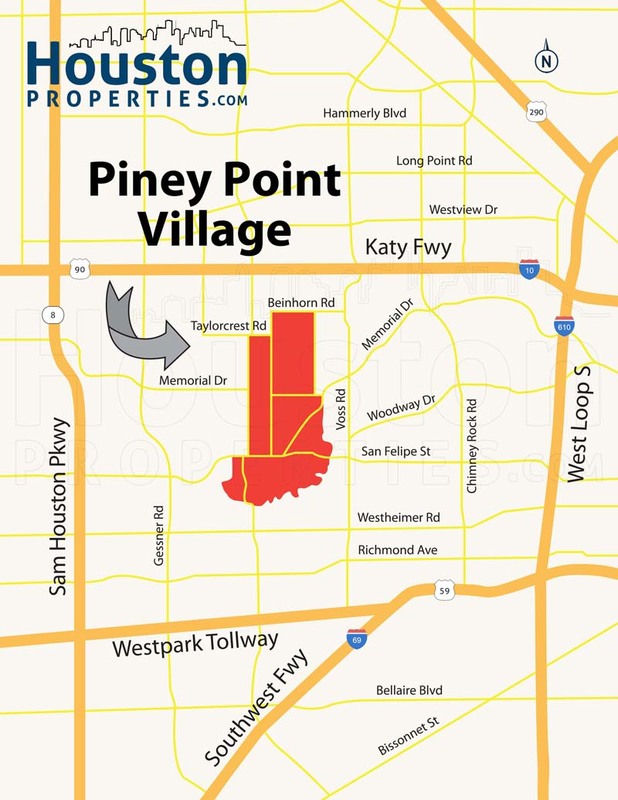 One of the independent cities that make up the Memorial Villages, Piney Point Village is the wealthiest area in Texas by per capita income. Opulence and luxury are staples in Piney Point real estate. The city also enjoys a relatively central location near key Houston hubs like Galleria and Memorial Park. Homes in the area typically sit on large, sprawling lots. 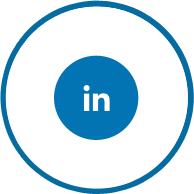 Sizes range from half-acre (21,780 square feet) to more than 160,000 square feet. The city is zoned to both the Spring Branch ISD and the Houston ISD. Top schools like Memorial High School and Memorial Drive Elementary serve Piney Point homes. The Kinkaid School, a prestigious prep school, is located within the city’s borders. 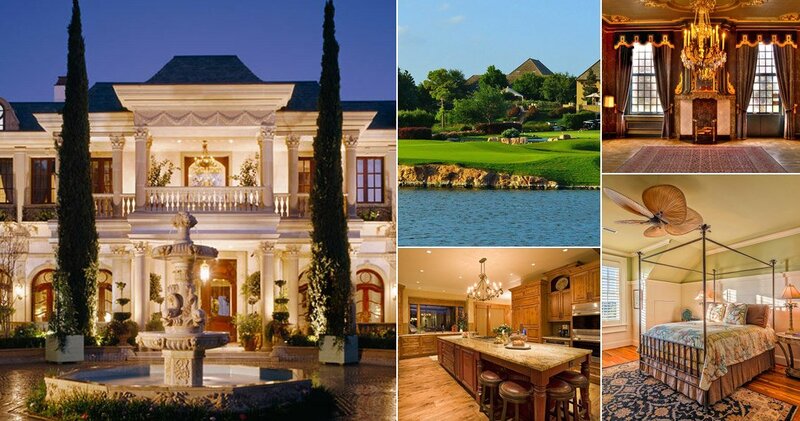 River Oaks is one of Houston’s most expensive and most exclusive neighborhood. 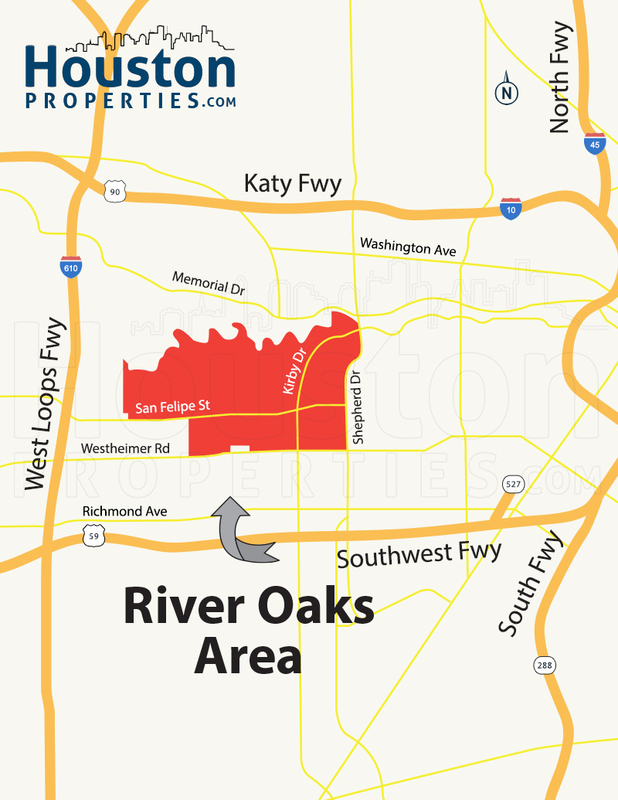 The grande dame of Houston’s luxury enclaves, River Oaks is a 1,100-acre enclave of mansions and estates found at the heart of Inner Loop Houston. 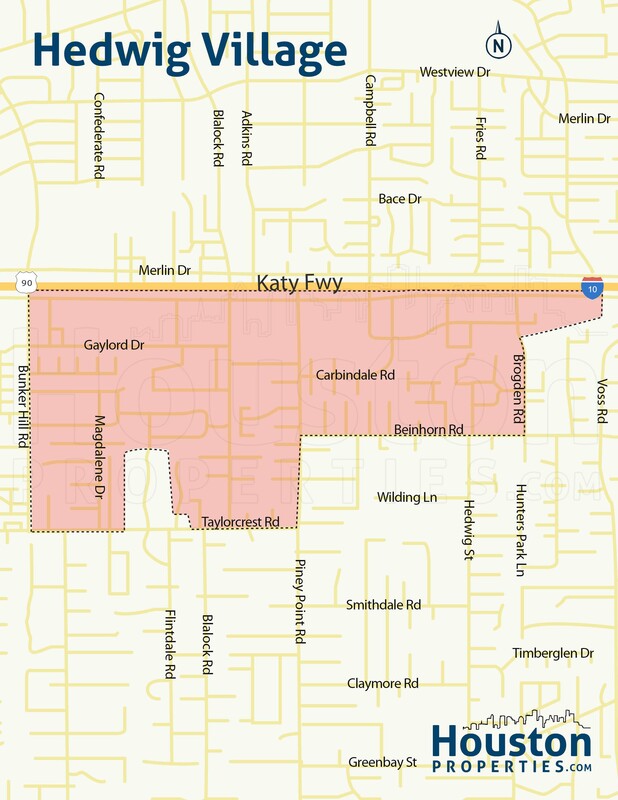 The neighborhood is north of the Upper Kirby district and is near many major thoroughfares such as Westheimer Road, Kirby Drive, and San Felipe Street. 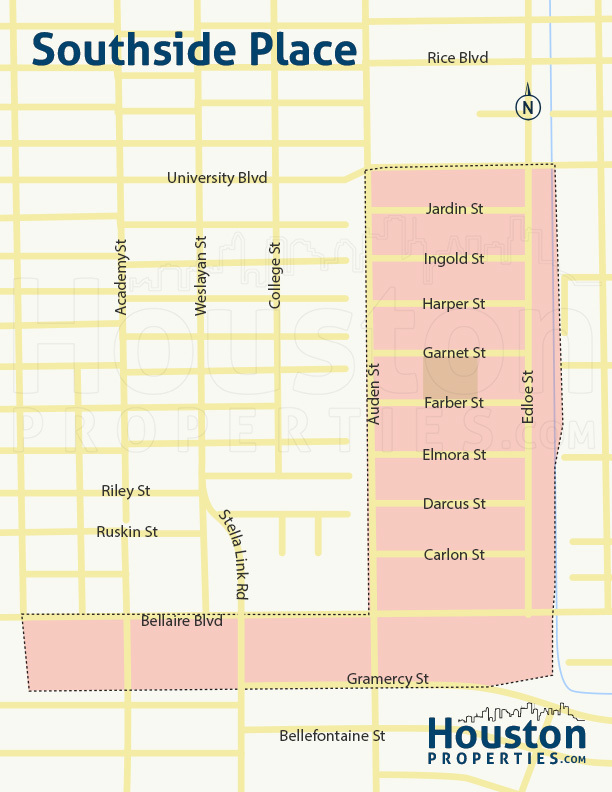 Houston main districts Downtown, Galleria, and Medical Center are within 15 to 20 minutes from River Oaks. Parts of River Oaks have acre-plus lots and deed restrictions to keep out commercial establishments. Other parts of River Oaks (notably on the South and Eastern sides) border the River Oaks Shopping Center and Upper Kirby/Greenway Plaza, which are home to a fabulous collection of shops and restaurants. The entirety of River Oaks is a scenic view of towering trees that line streets coupled with intricately detailed bushes that lead to pocket gardens. There are also plenty of restaurants, bars, boutiques, and art galleries in the River Oaks Shopping Center and West Ave complexes. Avalon Place is a small Inner Loop neighborhood of lovely, historic homes amidst mature trees. It’s often considered to be an extension of the prestigious River Oaks. 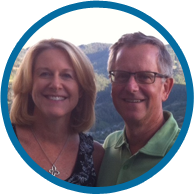 The neighborhood offers a great community feel due to its old-fashioned charm and beautiful surroundings. Nestled between River Oaks and Montrose, Avalon Place combines the grace of Montrose’s historic homes and the luxuries of River Oaks. 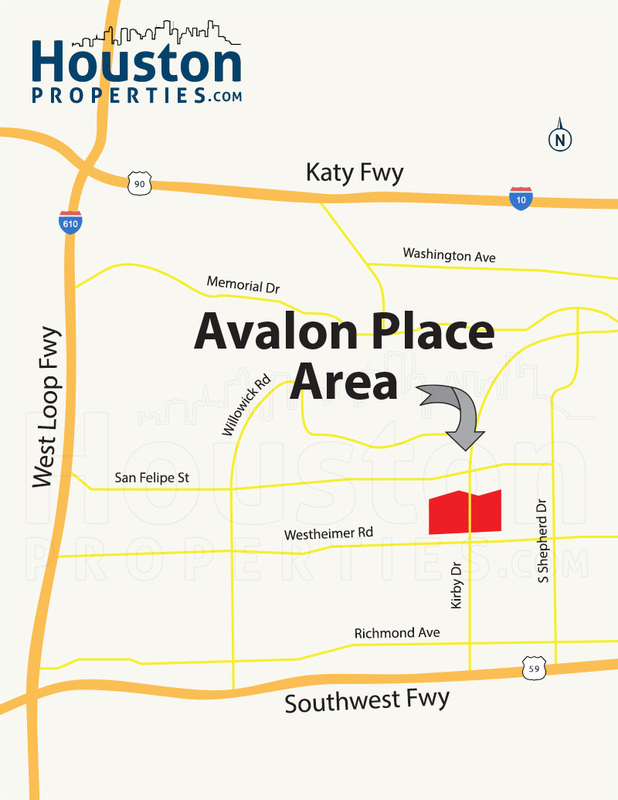 Avalon Place is near hundreds of shopping options in the Highland Village and Galleria area. The neighborhood also has easy access to the main job centers of Downtown, Medical Center and Greenway Plaza. The community is divided into 7 sections, each following their own deed restrictions. In 2001, these sections were restarted and incorporated. 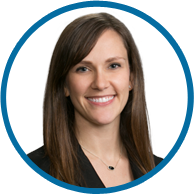 The deed restrictions were collected into a master document and set forth the requirements that are presently followed. 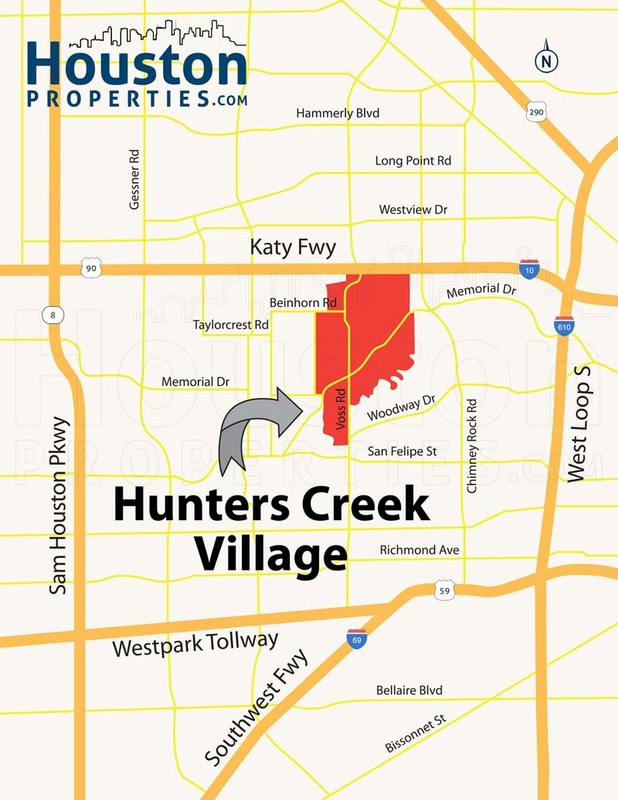 Hunters Creek is one of the most expensive suburbs in Texas. It is one of the independent cities that make up the Memorial Villages. Homes in the city are constantly in great demand due to the area’s excellent location, superb schools, and beautiful luxury homes. Originally a farming community, the city has taken great care to maintain its wooded surroundings and preserve its tranquil charm. Nestled south of Katy Freeway, the city is minutes away from Loop 610 and Memorial Park. The Galleria is a short drive away, along with other key Houston districts like Downtown and the Medical Center. 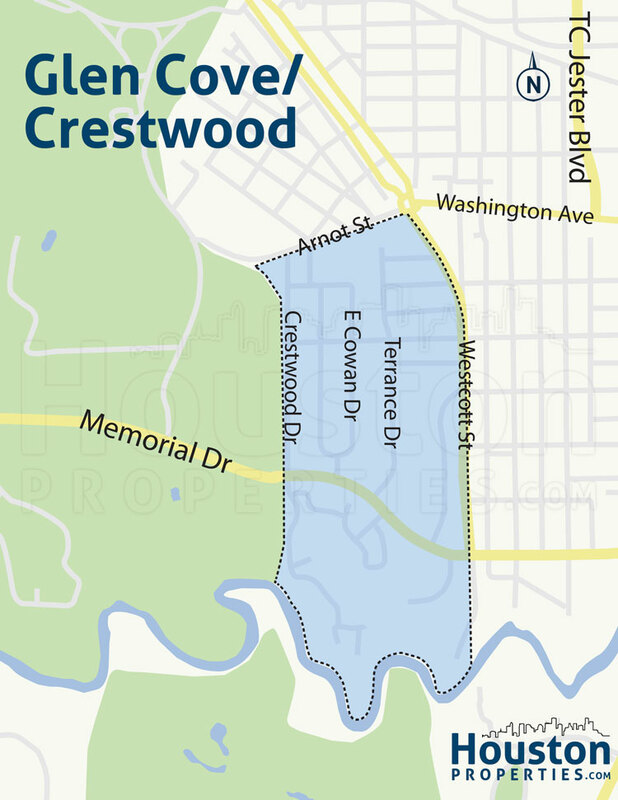 Crestwood is an affluent residential neighborhood adjacent to Memorial Park. 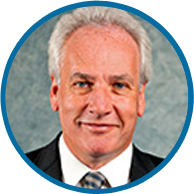 The neighborhood is one of the upscale communities that make up the area better known as Crestwood/Glen Cove. 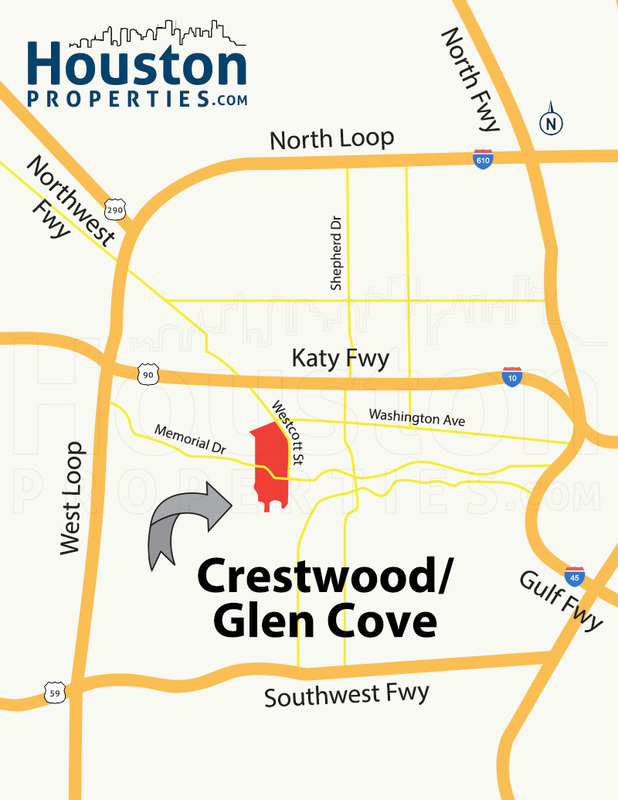 Crestwood homes have convenient access to main thoroughfares, including Loop 610, I-10, Memorial Drive, and Washington Avenue. Having a 1,500-acre park next door has its perks, including easy access to a municipal golf course, hike and bike trails, and other facilities for outdoor activities. Schools, restaurants, cafes, and retail centers are also mere minutes away from Crestwood homes. 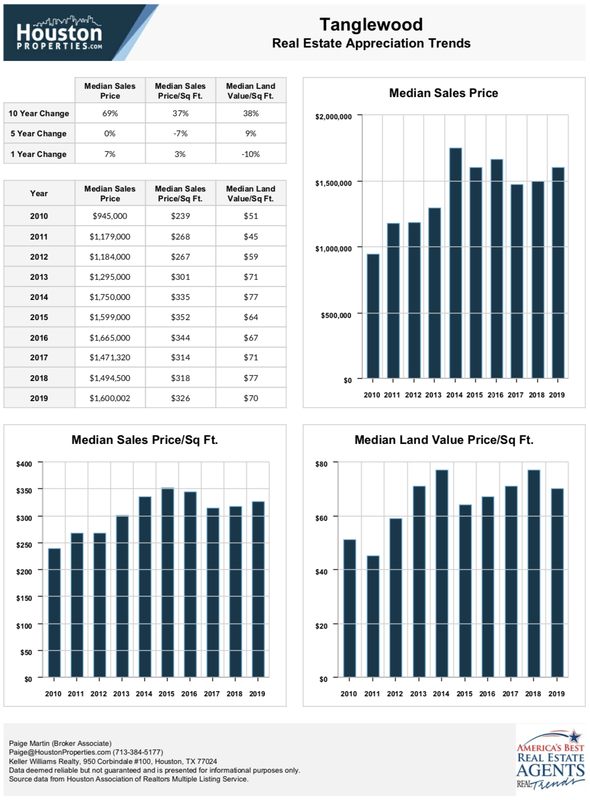 Lot sizes in the area are bigger by Houston standards. 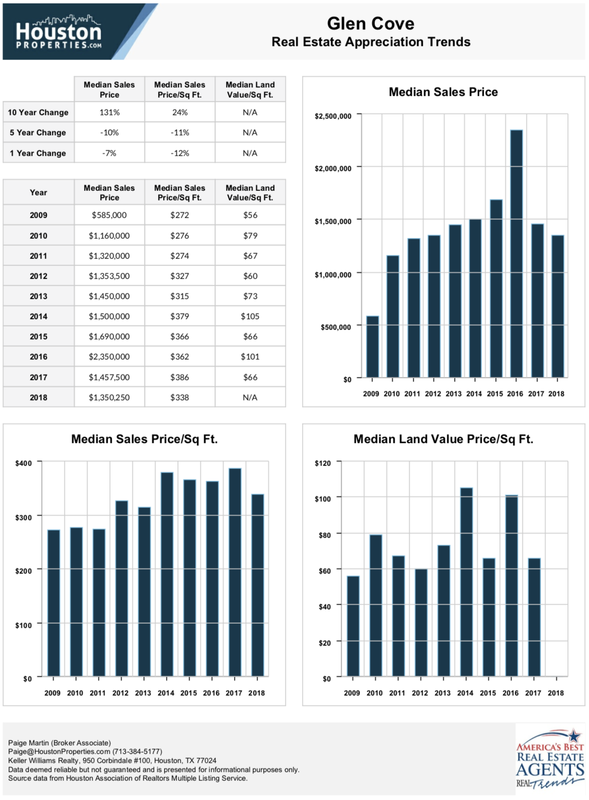 Crestwood real estate typically offers 7,500 to 9,000 square feet. 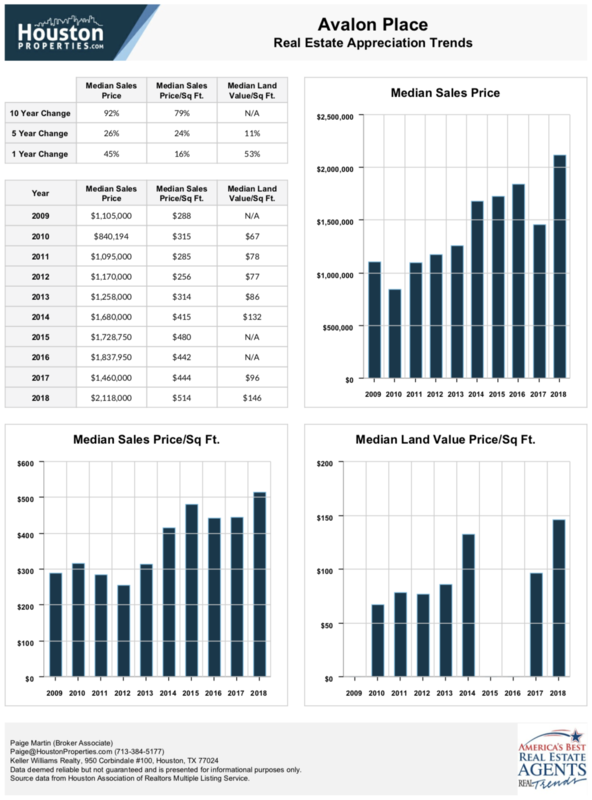 Bigger properties can offer more than 40,000 square feet. 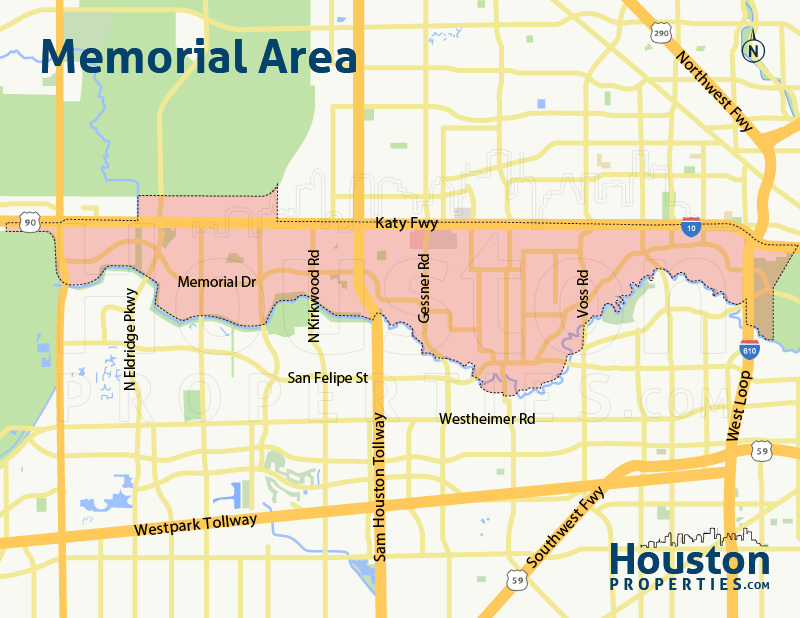 Located west of Downtown Houston, the Memorial area lies just outside Loop 610. 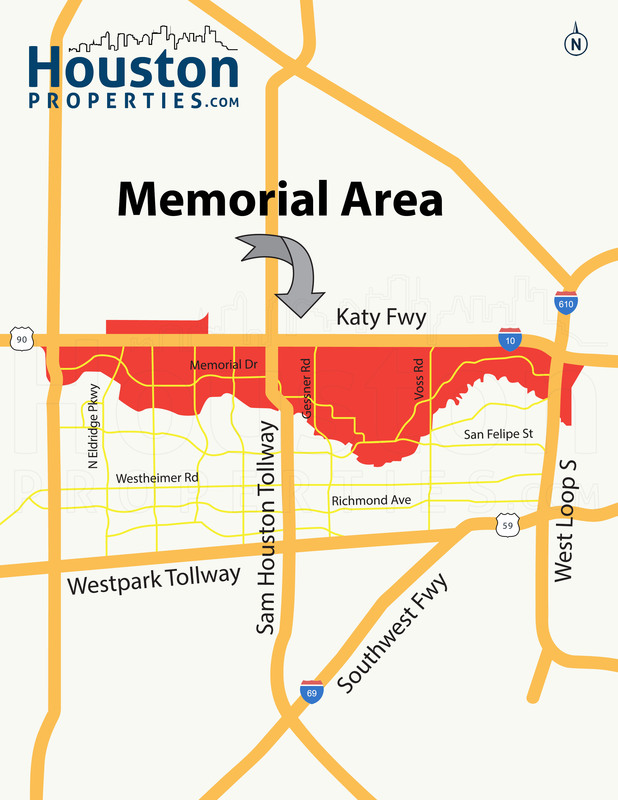 The vast Memorial area is made up of several neighborhoods, independent cities, and smaller gated communities. The area is zoned to some of the top ranked schools in Texas including Memorial Drive Elementary, Frostwood Elementary, Wilchester Elementary, Bunker Hill Elementary, Memorial Middle and Memorial High. 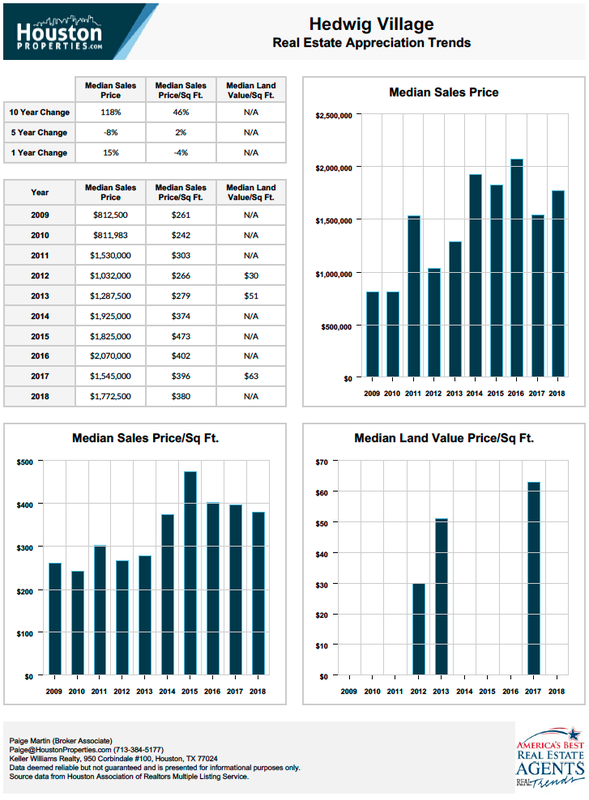 Land value in Memorial is typically lower than neighborhoods like Tanglewood, West University, or River Oaks, and many Memorial homes for sale have large, wooded lots. A large number of Memorial home buyers choose the area because they want more land than inner loop neighborhoods provide. Memorial homes enjoy easy access to schools, stores, restaurants, entertainment centers, and parks. The Galleria/Uptown area and the Energy Corridor, two of Houston’s largest employment centers, are easily accessible from Memorial. 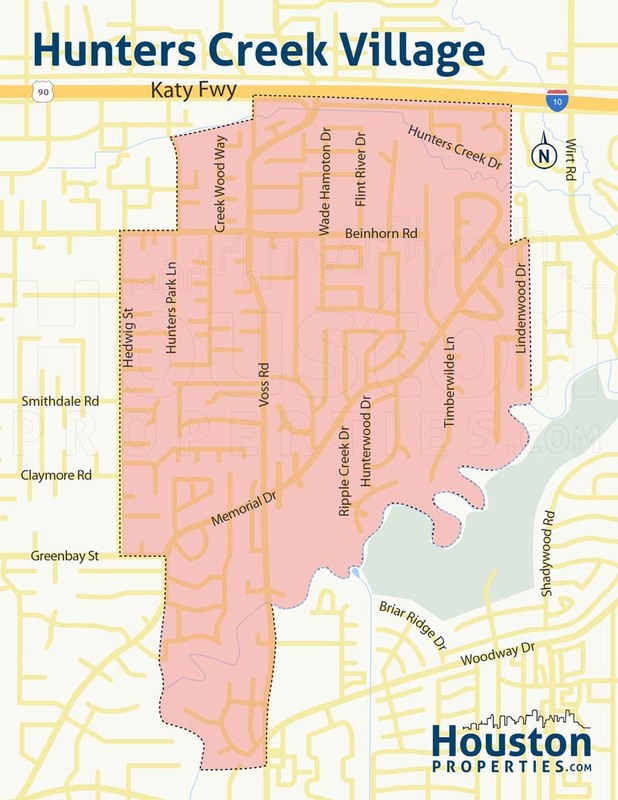 Note: The following communities have been included in the Memorial Close In area: Sherwood Forest, Winston Wood, Pinewood Estates, Bayou Woods, Stablewood, Longwoods, Oak Hill, Park Laureate Place, Park at Saddlebrook. Bunker Hill Village is one of the six upscale independent cities that make up the Memorial Villages. The city was named one of Forbes’ Top Places to Live Well. Its tree-lined streets, peaceful atmosphere, and beautiful homes make it a very desirable neighborhood. A residential enclave located at the heart of the Memorial area, Bunker Hill features a great location near Katy Freeway (I-10) and Sam Houston Parkway (Beltway 8). 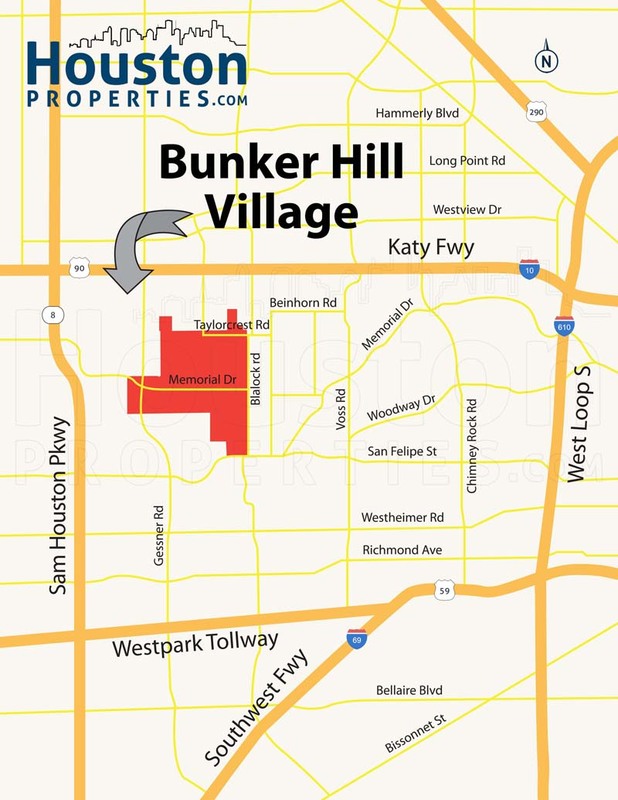 Bunker Hill Village is largely residential, but its location near the Memorial City Mall and the CityCentre gives residents great access to a wide variety of restaurants and stores. Like most of the Memorial Villages, Bunker Hill features elegant homes sitting atop sprawling, wooded grounds. Home options range from beautifully updated ranch-style homes to newly constructed custom-built mansions. The city is zoned to the highly-regarded Spring Branch ISD, and is home to two National Blue Ribbon Schools: Frostwood Elementary and Bunker Hill Elementary. 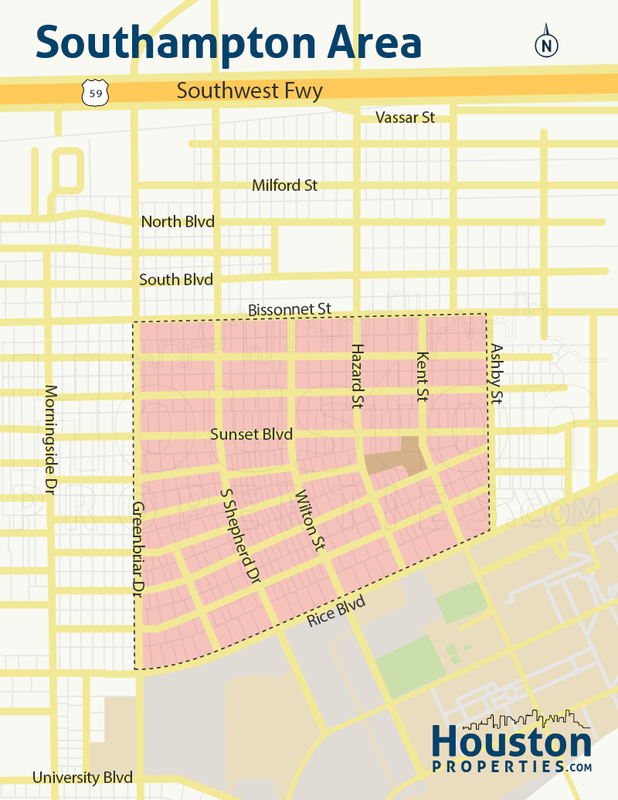 Sunset Terrace is a small residential enclave located south of Bissonnet Street and east of Kirby Drive. Located in the upscale West University area, Sunset Terrace features luxurious homes along tree-canopied streets that have come to be known as one of “Houston’s best kept secrets”. With easy access to Houston’s hotspots, Sunset Terrace homes are 5.3 miles away from Downtown Houston, 4.1 miles away from the Galleria, and 2.1 miles away from Texas Medical Center. Sunset Terrace is bordered by the affluent neighborhoods of West University, Southampton, and Upper Kirby, and is surrounded by dining, shopping, and entertainment options including Rice Village, River Oaks Shopping Center and Greenway Plaza. Known for its tree-canopied streets, Sunset Terrace is also a comfortable drive away from Hermann Park and Memorial Park, famous for its hike-and-bike trails, picnic grounds, playgrounds, sports facilities, and golf courses. Developed in the 1940s, the quiet neighborhood of Sunset Terrace features a charming architectural mix of traditional and new-construction contemporary homes. Sunset Terrace homes sit on lots ranging from 5,000 up to 9,000 square feet, with 1-, 2- and 3-story home options that can accommodate three to five bedrooms. New-construction homes feature luxurious amenities such as hardwood flooring, formal living and dining areas, game rooms, spacious walk-in closets, and landscaped and pool-ready backyards. 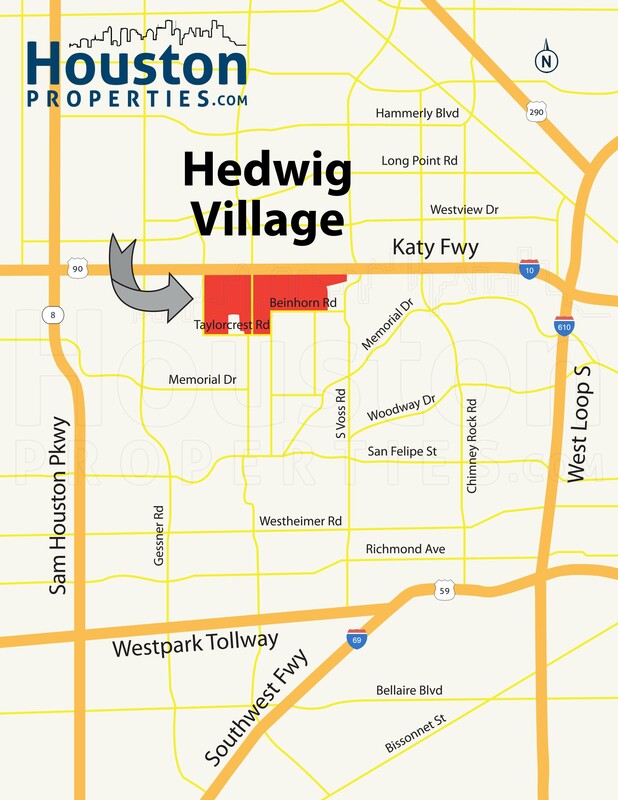 One of the independent cities that make up the Memorial Villages, Hedwig Village is an upscale neighborhood a few miles west of Downtown Houston. Tree-lined streets, elegant mini-mansions, and ranch-style homes define the city’s old country-living and new upbeat charm. Located along Katy Freeway, Hedwig Village features easy access to Inner Loop hubs including Downtown Houston and the Museum District. Another business center, the Energy Corridor is a few minutes west of the city. Hedwig Village homes sit on large, tree-roofed lots, with ample space for front- and backyards. A number of properties feature older ranch-style homes, though these are slowly being replaced with new construction custom-built manors. 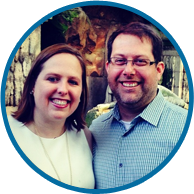 The city is zoned to the Spring Branch ISD, well-known for its excellent schools. A number of schools are located within Hedwig Village, including Memorial High School, Spring Branch Middle School, and St. Cecilia School. Unlike the other cities in the Memorial Villages, Hedwig Village allows commercial establishments within its borders. The Hedwig Village Shopping Center and the Echo Lane Shopping Center are located in Hedwig, along with offices and other businesses. An upscale community just north of Bellaire Boulevard, Southside Place features homes for sale consistently in high demand due to the community’s central location, luxurious homes, and charming small-town feel. 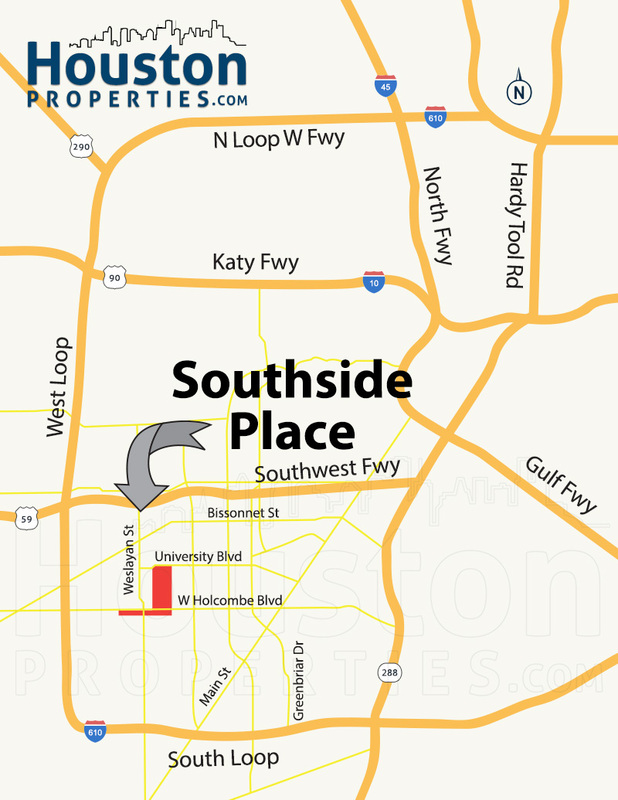 Southside Place is conveniently located near major roads and thoroughfares including Loop 610, Bellaire Boulevard, and Bissonnet Road, giving it convenient access to key Houston areas such as Downtown Houston and Texas Medical Center. With some of the most expensive real estate in Houston, Southside Place features a luxurious selection of vintage and newly constructed homes sprawled across spacious lots. Featuring a central Inner Loop location, Southside Place homes are minutes away from dining, shopping, and entertainment hotspots. 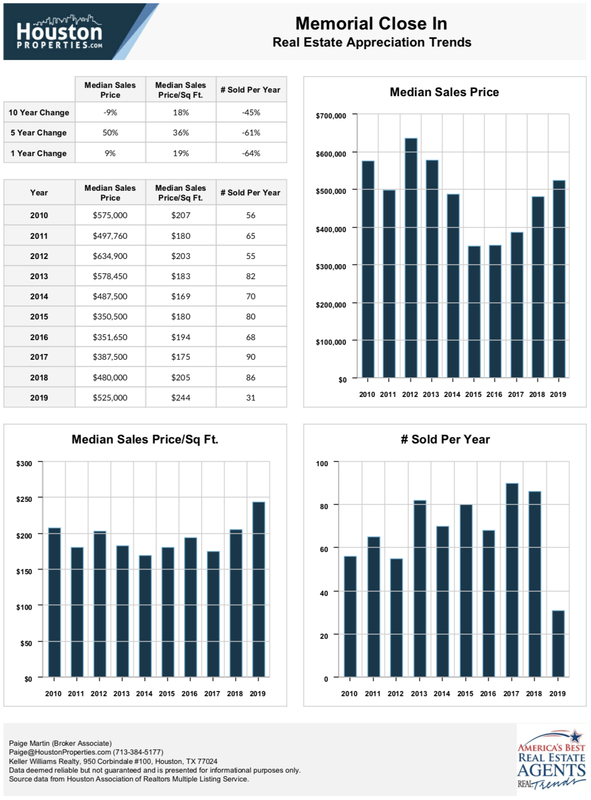 With luxurious homes sprawled on large lots, Southside Place continuously ranks as one of Houston’s wealthiest locations. 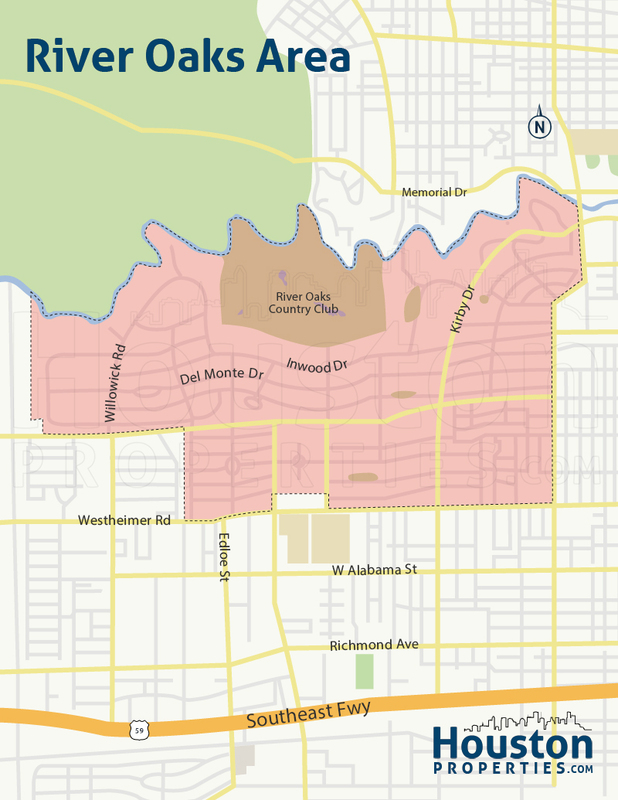 Nestled just outside of Houston’s 610 Loop, north of the Galleria, and about 7 miles west of Downtown Houston, Tanglewood is one of Houston’s premier neighborhoods. 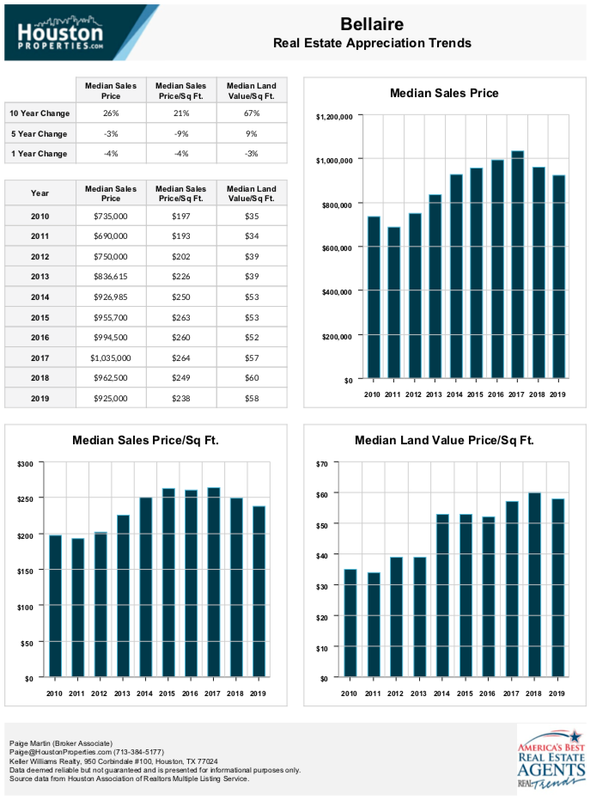 Apart from being one of Houston’s most expensive neighborhoods, Tanglewood is also among the Best Houston Neighborhoods for Land Value Appreciation. Tanglewood offers a good commute to Houston’s major job centers, including Downtown, the Galleria, and Energy Corridor. In addition, over 550 Yelp-ranked establishments are within 3 miles of the neighborhood. 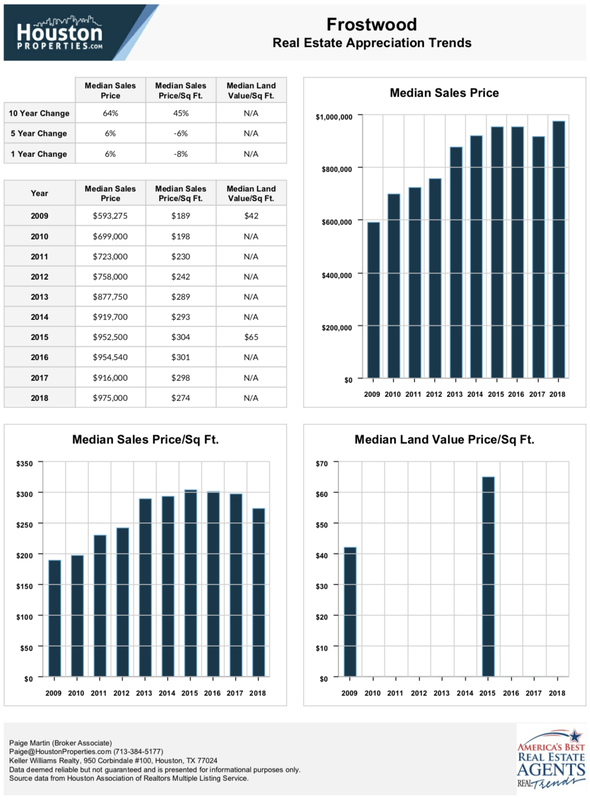 The median home price in Tanglewood is approximately $1.75 million. 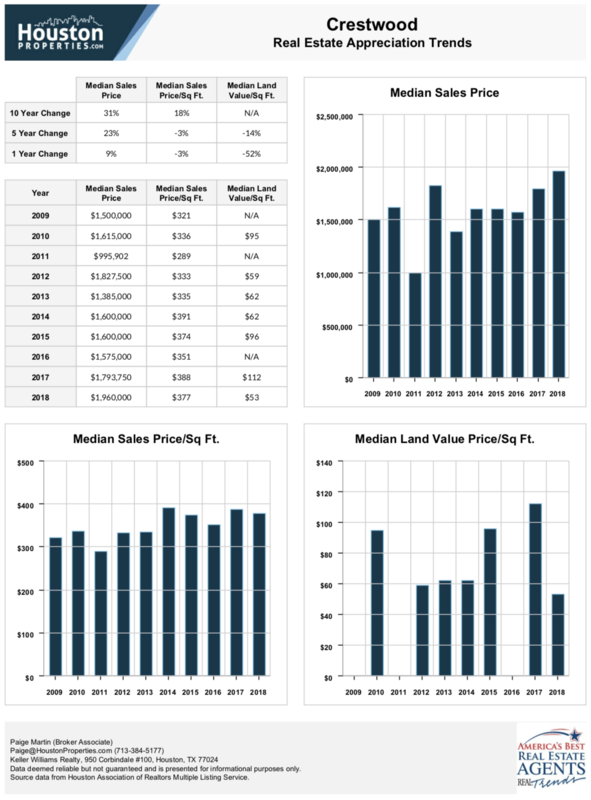 When comparing with West University or River Oaks, the average Tanglewood home for sale is newer and has a larger lot (land prices are cheaper). Compared with homes in Memorial Villages, Tanglewood land values are more expensive and lots are smaller. Glen Cove is a heavily deed-restricted neighborhood featuring tree-lined streets, large lots, and breathtaking views of the Buffalo Bayou. 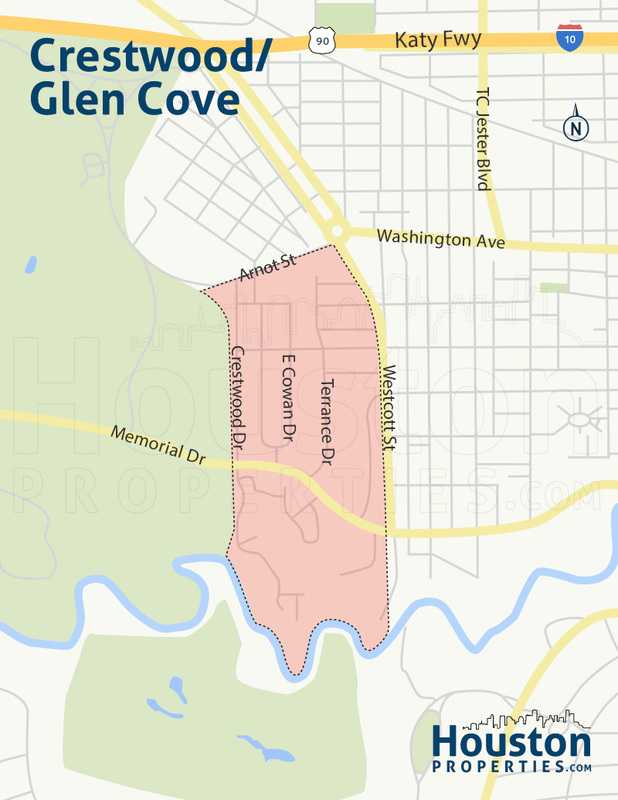 Glen Cove is very near to Memorial Park and Museum District. It is also within minutes from Downtown Houston, Galleria, and Uptown Houston. Glen Cove homes for sale are near the Hogg Bird Sanctuary, excellent jogging and biking trails of Memorial Park, and stunning views of the Buffalo Bayou. Glen Cove is divided into 3 subdivisions, each with its own set of deed restrictions. 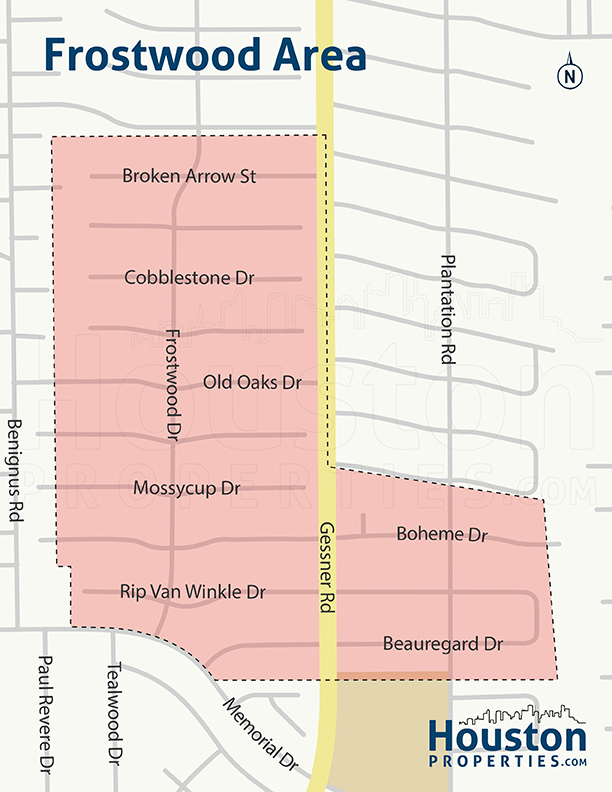 Most of the area is restricted to single-family residential use except for certain lots in Glen Cove 2 and the small parcel of land at the corner of Arnot St. and Westcott St.
Glen Cove Houston is bordered by Buffalo Bayou to the south, Crestwood Drive to the west, Arnot Street to the north, and Westcott Street to the west. The area is right next to Crestwood, directly east of Memorial Park. 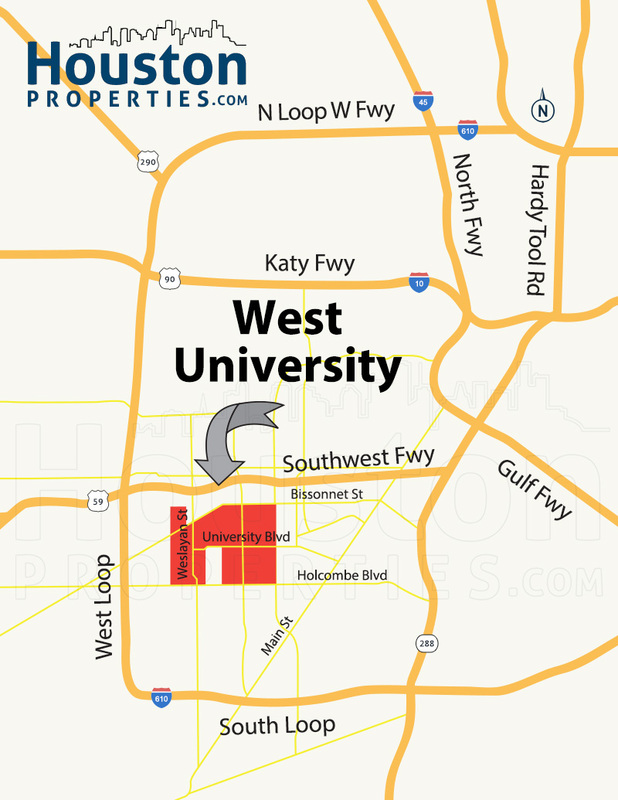 West University is consistently ranked as one of Houston’s best communities. 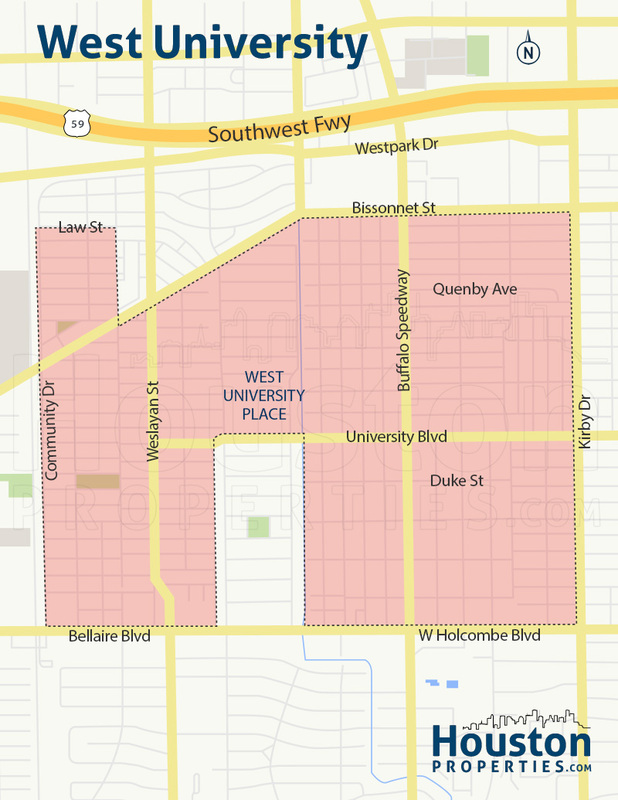 West University has its own police force, which boasts that they have “one of the best crime rates in all of Houston.” Residents can sign up for real-time text message alerts about any community issues. 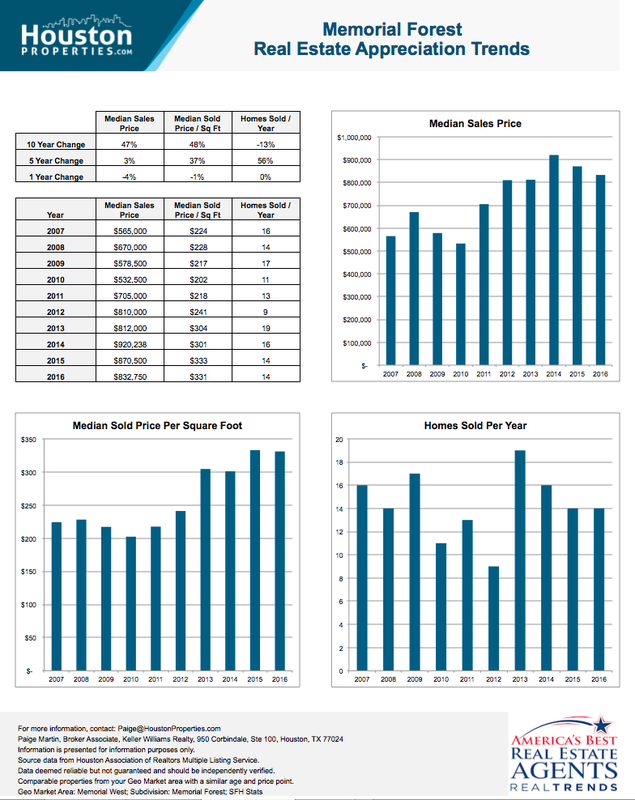 With a median home price over $1M (and new construction constantly selling over $2M), West University also has one of the best five- and ten-year appreciation rates of any neighborhood in Houston. West University offers an easy commute to Houston’s major job hubs — including Downtown Houston, The Medical Center, The Galleria, Greenway Plaza — and all major highways. The neighborhood’s park system, baseball fields, recreation center, library, and Rice Village make West University one of Houston’s most accessible communities. Rice Court is a posh community of vintage and new-construction homes located east of Buffalo Speedway and west of Rice Village. Situated in one of the most expensive real estate areas in Houston, Rice Court features luxurious mini-mansions within a vibrant, high-class, and exclusive neighborhood. 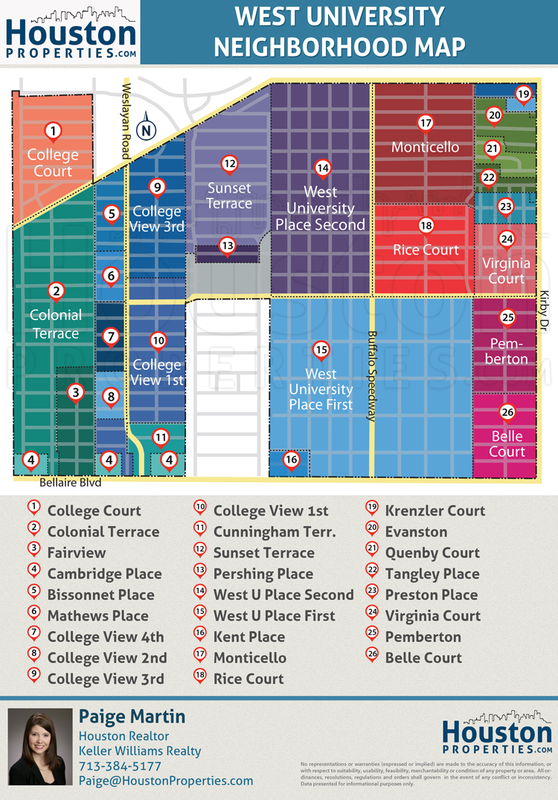 Rice Court enjoys a central location with easy access to major thoroughfares including Buffalo Speedway, Kirby Drive, Bellaire Boulevard, Loop 610, and US 59. The neighborhood is less than 5 miles southwest of Downtown Houston, making for a short drive to this major economic zone, including nearby shops, restaurants, and entertainment establishments. With no shortage of green spaces within the tree-lined community, Rice Court homes are also minutes away from acres of parks including Colonial Park, Hermann Park, and Memorial Park. 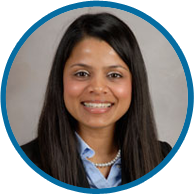 Rice Court is serviced by the Houston ISD, and students in the area may attend the award-winning schools of West University Elementary School, Pershing Middle School, and Lamar High School. There are also a number of notable private schools in the area. 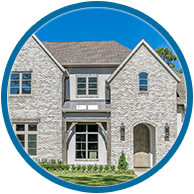 Featuring newly constructed and carefully maintained vintage homes, Rice Court offers luxurious homes in traditional, colonial, and contemporary architectural designs. Rice Court homes are sprawled in large lots ranging from 5,000 to 9,000 square feet in 1-, 2-, and 3-story home options. Home features include up to three to six bedrooms, formal living and dining areas, summer kitchens, and pool-sized yards. New construction homes include luxurious touches such as high-beamed ceilings, imported stone woodburning fireplaces, and wine rooms. Carlton Woods is a gated luxury community located within The Woodlands, one of Houston’s Best Suburbs. Carlton Woods is a luxury 24-hour manned gated community with amenities that rival Houston’s Best Gated Communities. 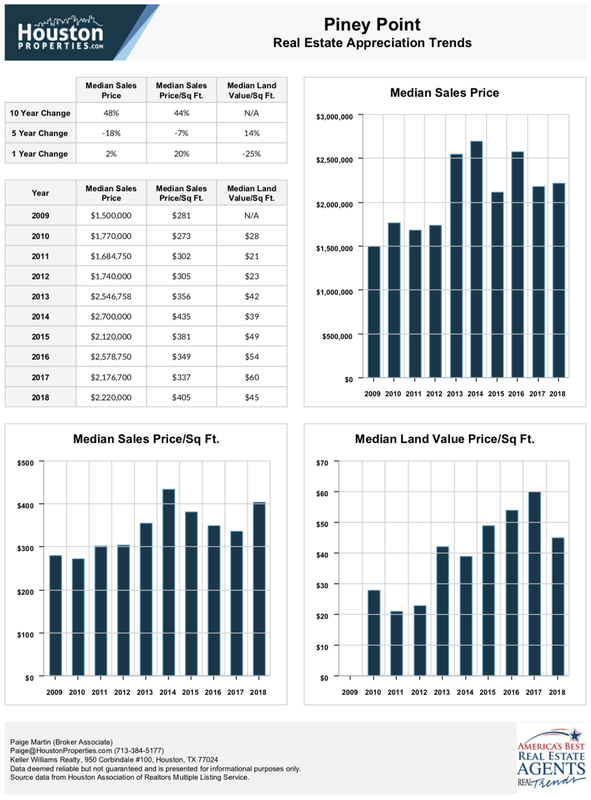 Homes for sale in the area are among the Most Expensive Homes in Houston. Ranked as one of the Best Golf Course Communities in Houston, Carlton Woods residents enjoy access to a world-class golf course. Featuring a members-only golf course and country club, The Club at Carlton Woods features premier amenities such as Nicklaus and Fazio-designed golf courses, Tuscan-inspired clubhouses, fitness centers, tennis courts, resort-style swimming pools, and full-service spas. 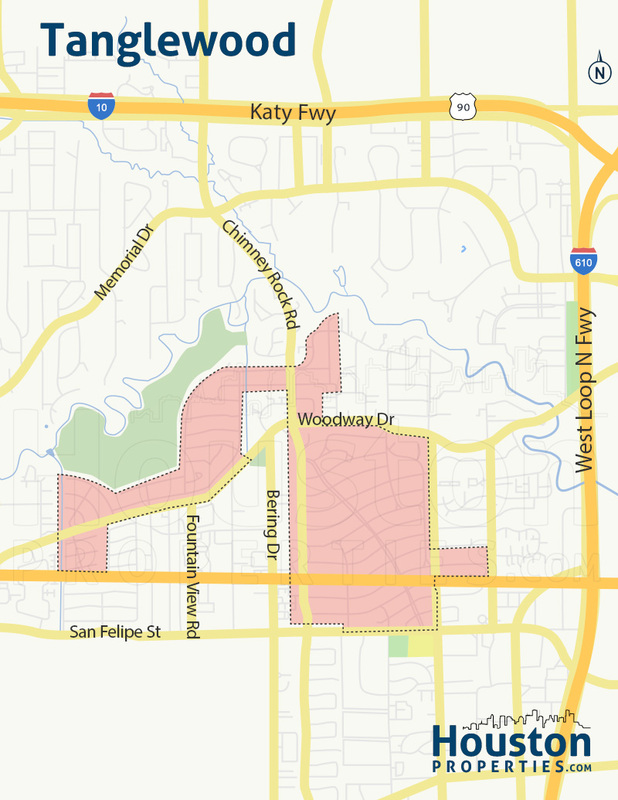 Carlton Woods is located in the Sterling Ridge Village of The Woodlands, one of Houston’s Best Suburbs. 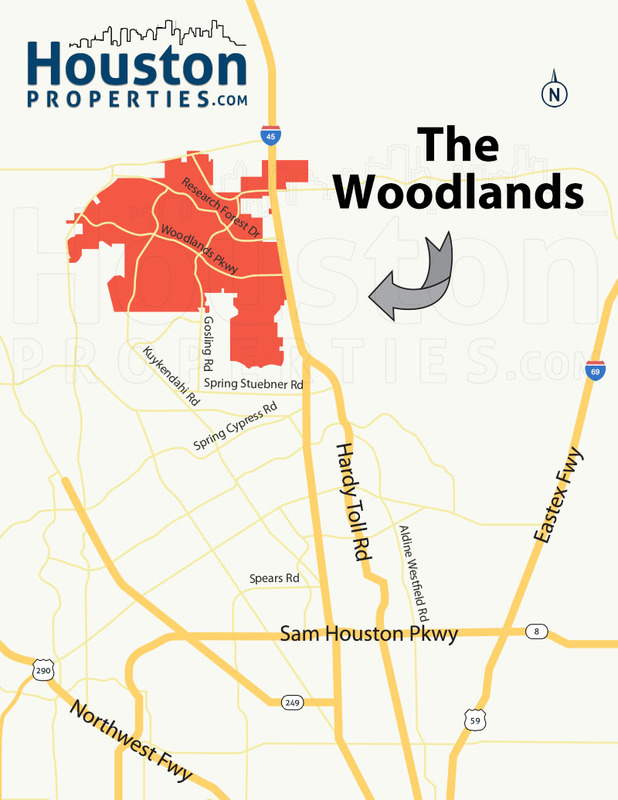 The Woodlands is a 28,000-acre master-planned community located along North Freeway, northwest of Spring, TX. 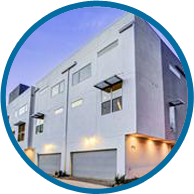 It is the only 24-hour manned gated neighborhood within the master-planned community. 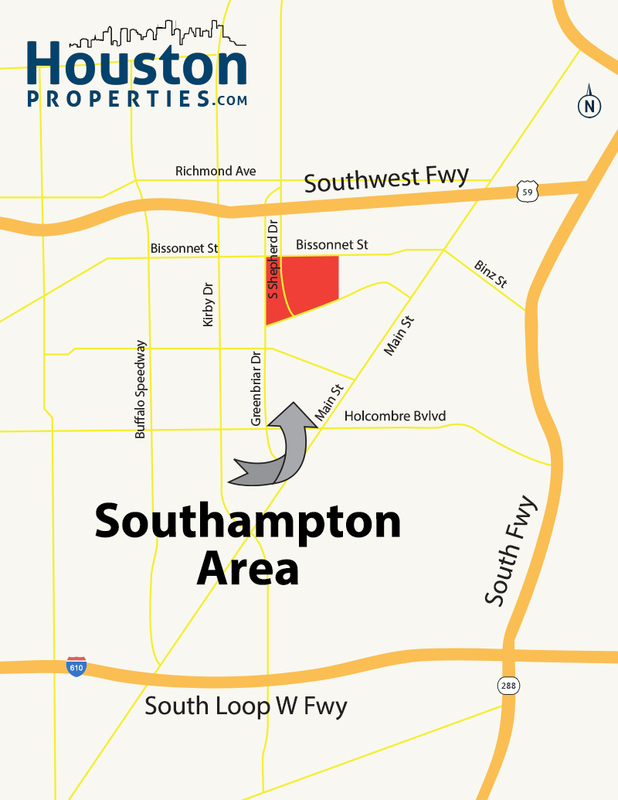 Southampton is not just one of the 20 Most Expensive Neighborhoods In Houston, the neighborhood is also one of the 14 Hottest Inner Loop Neighborhoods in real estate appreciation. The neighborhood is a few minutes away from the Texas Medical Center, Museum District, Downtown Houston, and is right across Rice University. The stringent deed restrictions in Southampton Place maintain the identity and integrity of the neighborhood. A canopy of mature oak trees line the streets of this strictly single-family residential community. Security in the neighborhood is top-notch. 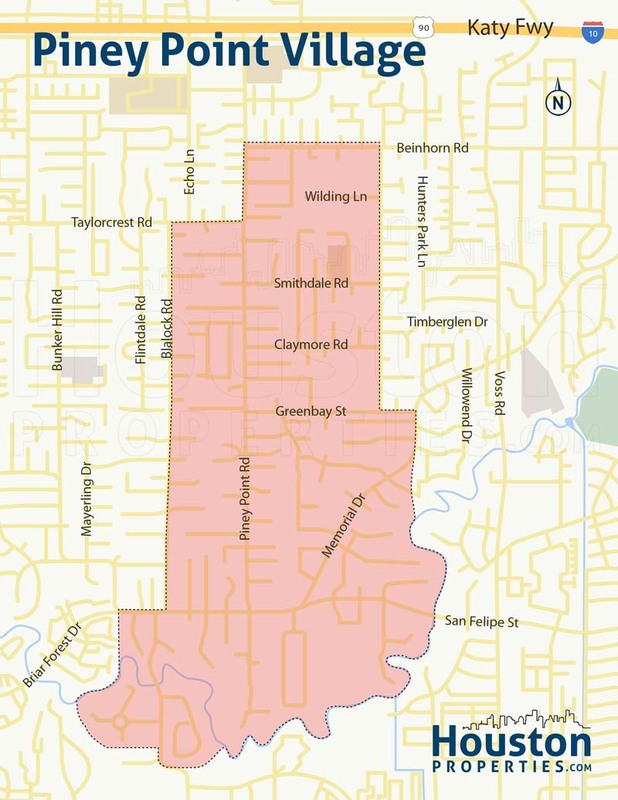 The Southampton/BOCA Patrol service is composed of off-duty Houston Police District officers. They patrol the area in marked police cars 24 hours a day. 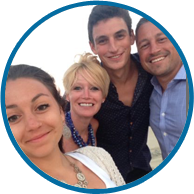 Southampton homes for sale are mostly luxurious single-family properties with over 3 bedrooms and 3 baths. 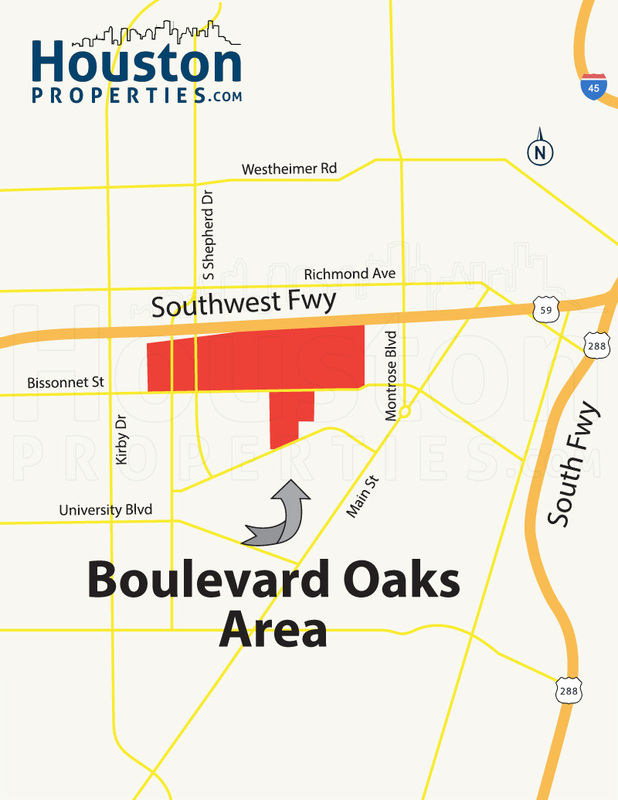 Boulevard Oaks is an exclusive collection of 21 subdivisions near Rice University. 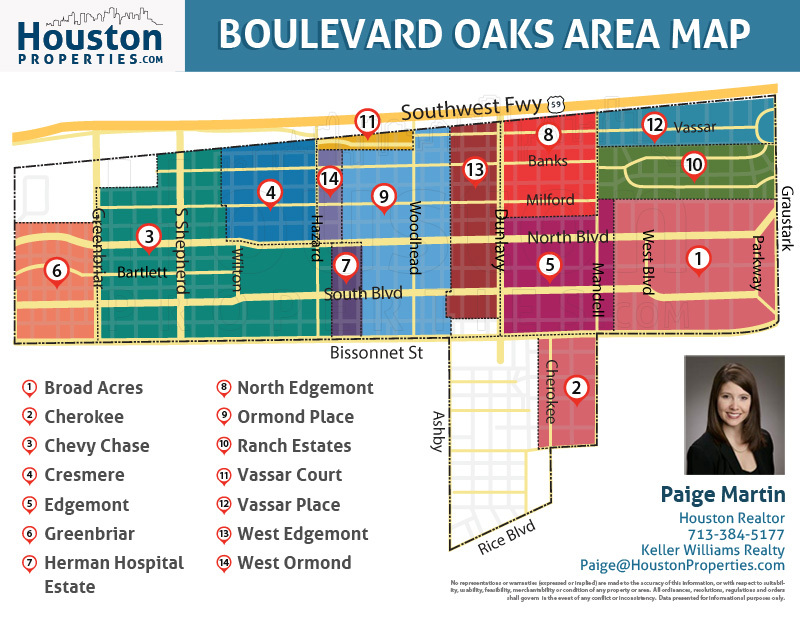 Boulevard Oaks is also just a few minutes from Texas Medical Center, Downtown Houston, and Museum District. The neighborhood employs a 24-hour private security patrol provided by Houston Police and Harris County peace officers. Boulevard Oaks is one of the few Inner Loop neighborhoods with tree-lined, divided streets, large lots and good deed restrictions. Transit to Downtown Houston is easy with the new METRORail line. It also offers easy access to the Southwest Freeway and nearby Main Street. Boulevard Oaks is comprised of around 1,200 homes. Many of the older homes were designed by Houston’s finest architects of their time. Common home styles include Tudor revival, Colonial revival, Italian renaissance, Spanish eclectic, French manorial, Neoclassical, post-war ranch, and English Picturesque. Located in west Houston and about 10 minutes away from Downtown Houston and Galleria, Memorial Forest is an upscale neighborhood defined by its luxury homes, parks, natural topography, and man-made landscape. 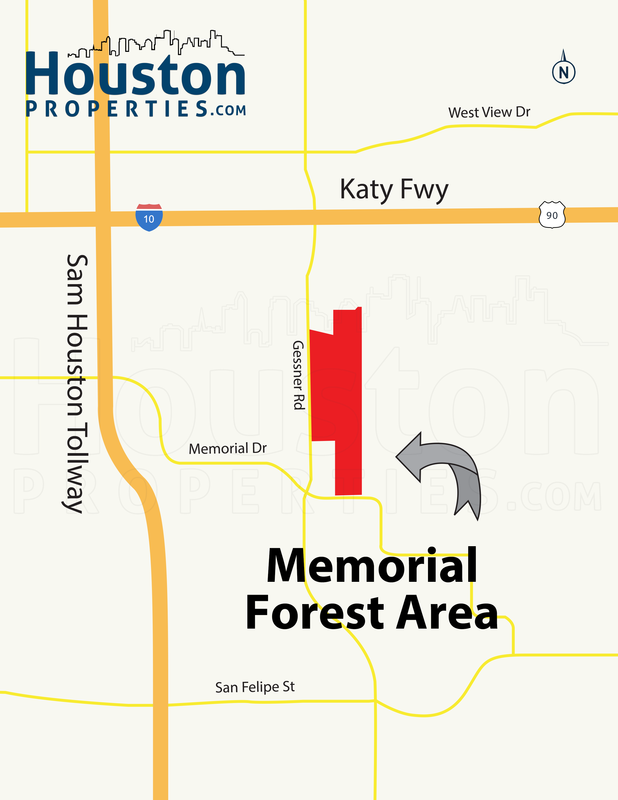 Memorial Forest is roughly bordered by Gessner Road, Kimberley Lane, and Barryknoll Lane. The neighborhood is also in close proximity to main Houston thoroughfares Katy Freeway and Sam Houston Tollway. 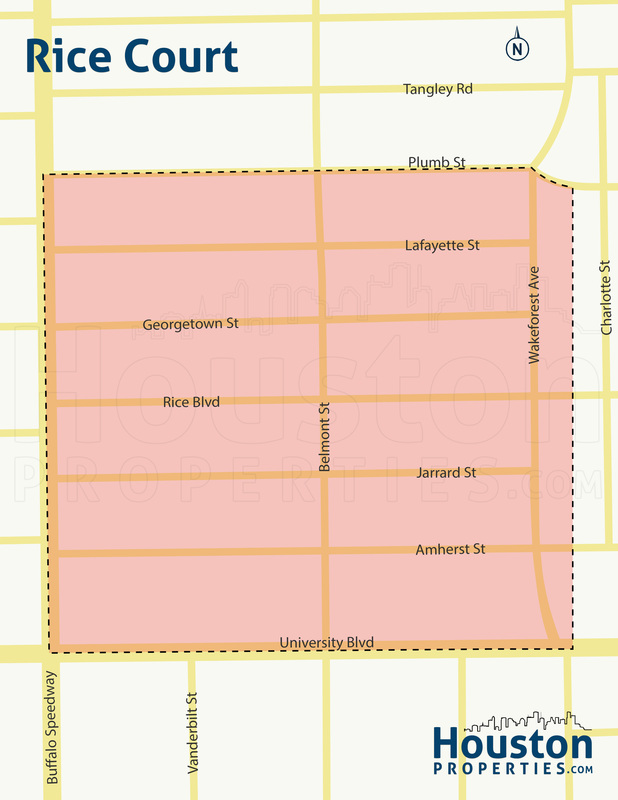 The neighborhood is composed of nearly 280 homes with a median lot size of over 10,000 square feet. 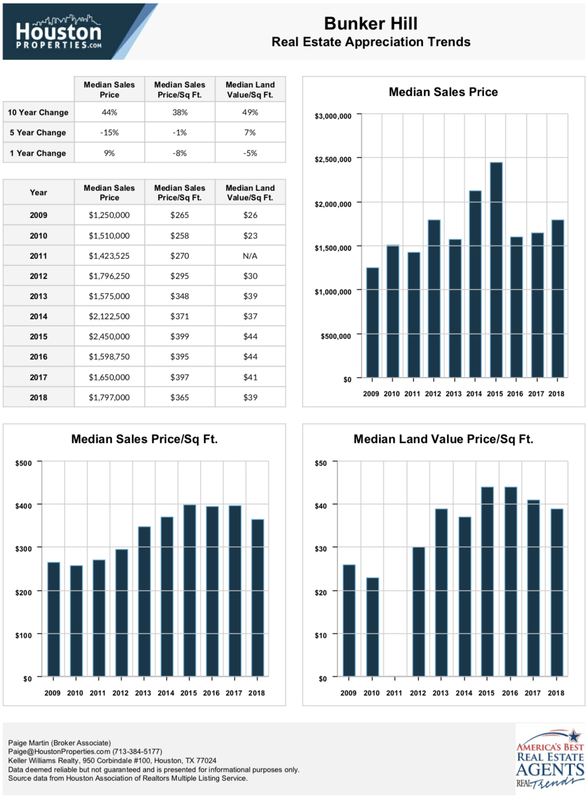 Memorial Forest homes for sale have some of the largest yards in Houston. Most of the homes were built in the 1950s and have an average of around 4 bedrooms and 2.5 bathrooms. 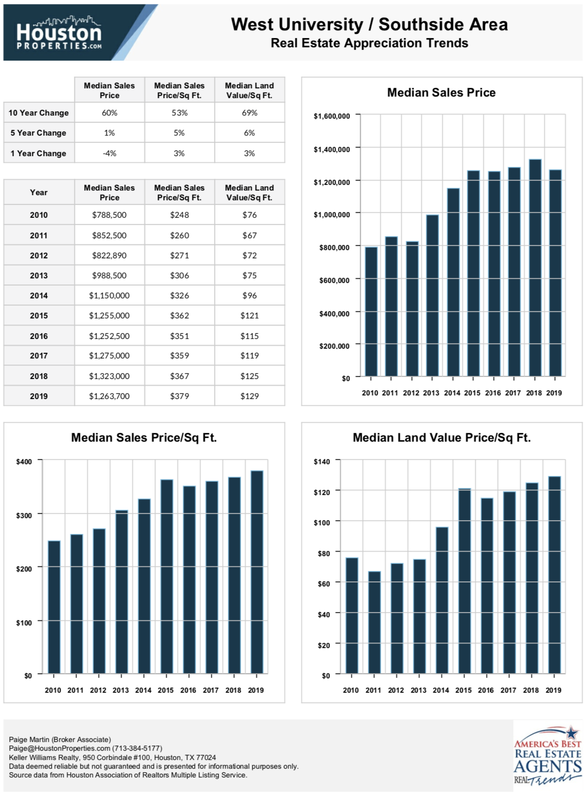 Home prices range from $550,000 to well over $1 million. 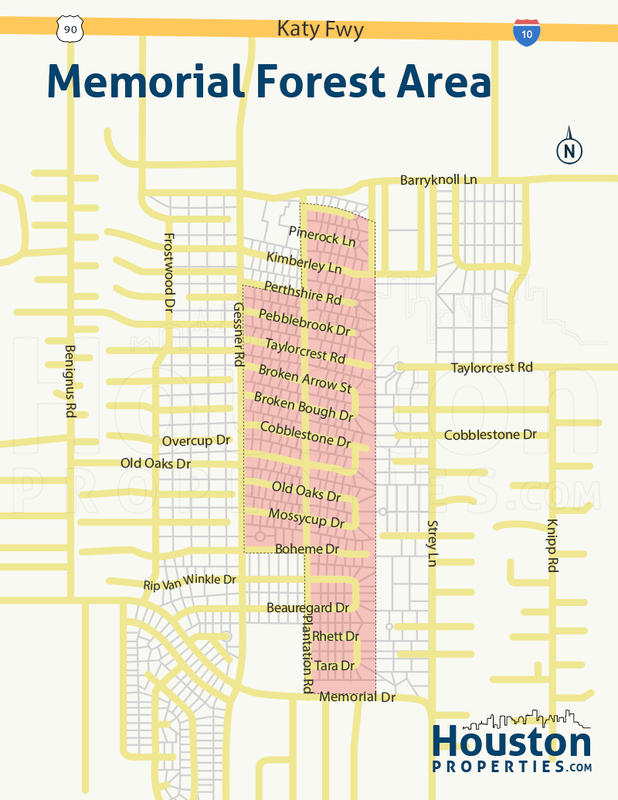 Most homes in Memorial Forest are accessible through Memorial Drive, where you will find the Memorial Forest Club. The Memorial Forest Club offers day camps, swimming programs, and tennis clinics to its members. One of Houston’s most popular neighborhoods, Bellaire features a small-town vibe that mixes quite nicely with its easy access to big city comforts. Bellaire is among the top Houston neighborhoods in both Land Value Appreciation and Real Estate Appreciation. According to Houston’s Best Public Schools, many of Bellaire’s public schools are ranked amongst the top in the state of Texas. Bordered by the cities of Houston and West University, Bellaire enjoys a central location and a good commute to: Texas Medical Center, Galleria, Downtown, and Energy Corridor. 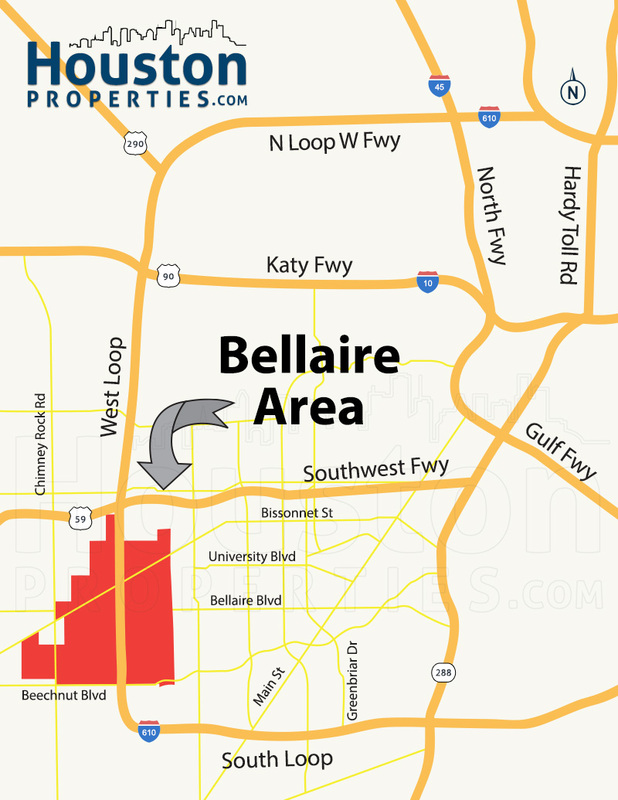 Bellaire homes have convenient access to main roads and freeways, including Loop 610, Southwest Freeway, Bissonnet Street, and Bellaire Boulevard. Largely residential, the city boasts of tree-lined streets, a good number of parks, and award-winning schools. 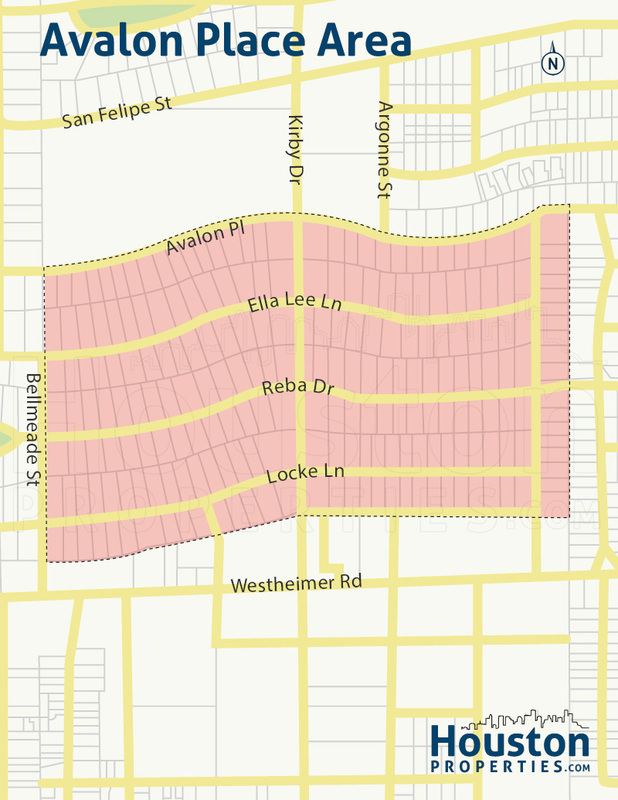 Lot sizes in Bellaire vary widely, though its standard 75 feet by 130 feet lot parcels are noticeably more spacious than West University’s 50 by 120 foot lots. Bellaire real estate can be tricky to navigate given the area’s different school zoning maps (land values in certain areas sell for more than others), proximity to railroad tracks (bad for resale), location on a major thoroughfare (bad for resale) and a diversity of builders (some are far superior to others). 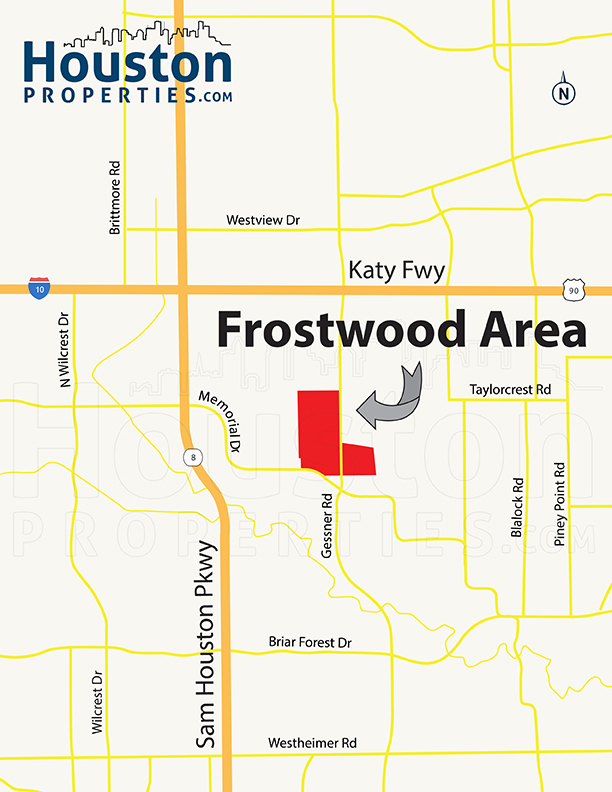 A small community of around 300 homes, Frostwood is a quiet residential enclave just inside Beltway 8. 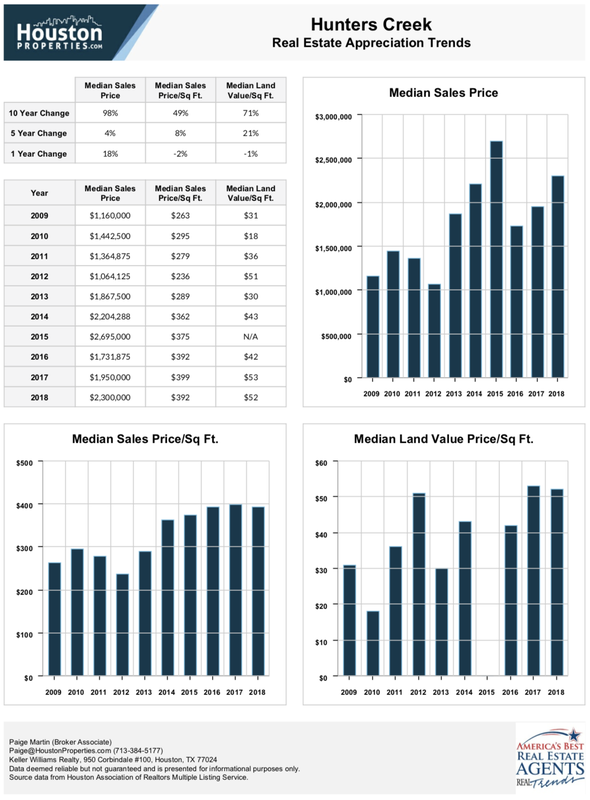 Frostwood homes for sale are among the most desirable within the Memorial West area. 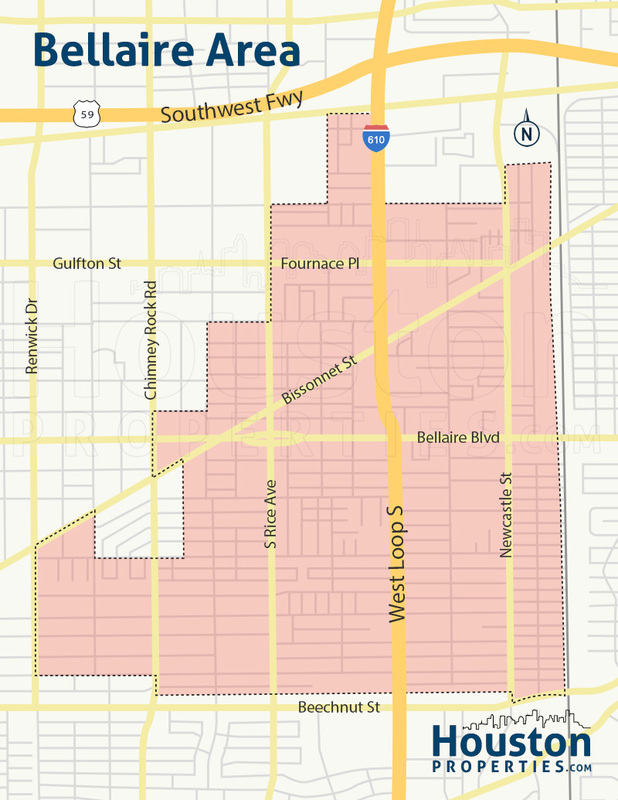 The neighborhood lies in the area south of Interstate 10 and east of Beltway 8. 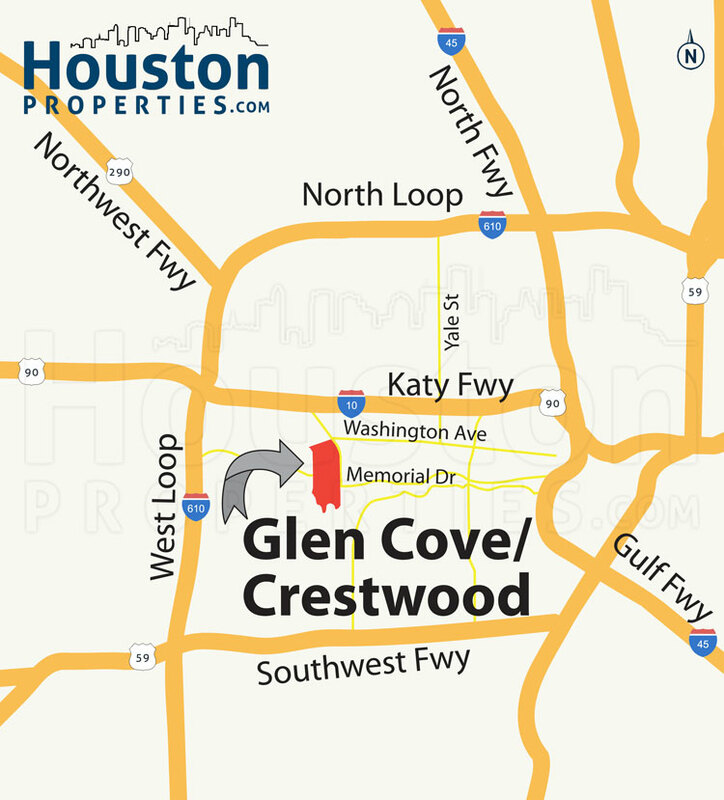 Frostwood homes have easy access to Gessner Road and Memorial Drive. Frostwood residents have a fairly easy commute to and from the Energy Corridor, the Galleria, and neighborhoods within the Inner Loop. Like its neighbor Bunker Hill, Frostwood displays a distinct, country-living atmosphere. Homes tucked within large wooded lots line the neighborhood’s streets. Most Frostwood homes date back to the 1950s and 60s, all beautifully updated and maintained. Median home sale prices are based on single family home sales for 2018 (January 1–October 17). 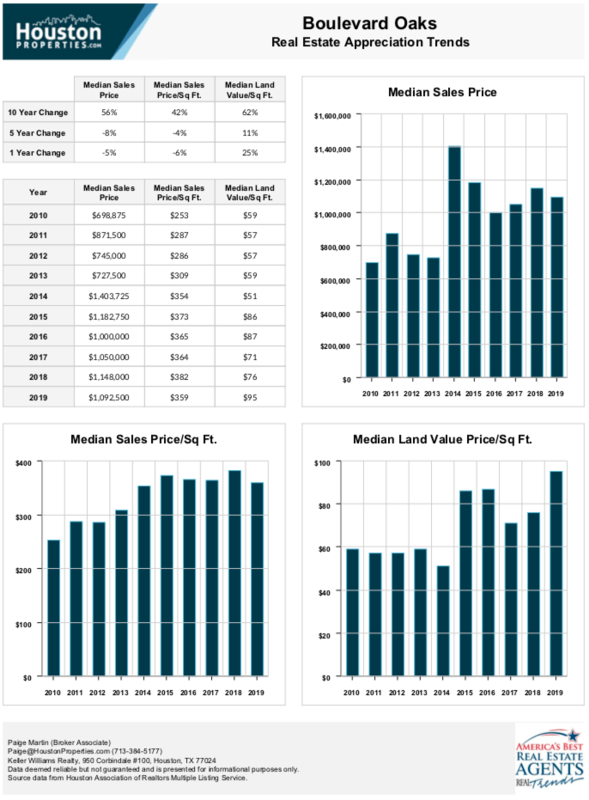 Median land value prices are based on both homes sold at lot value and lot sales. Neighborhoods with less than 20 home sales over the past 10 years were excluded. 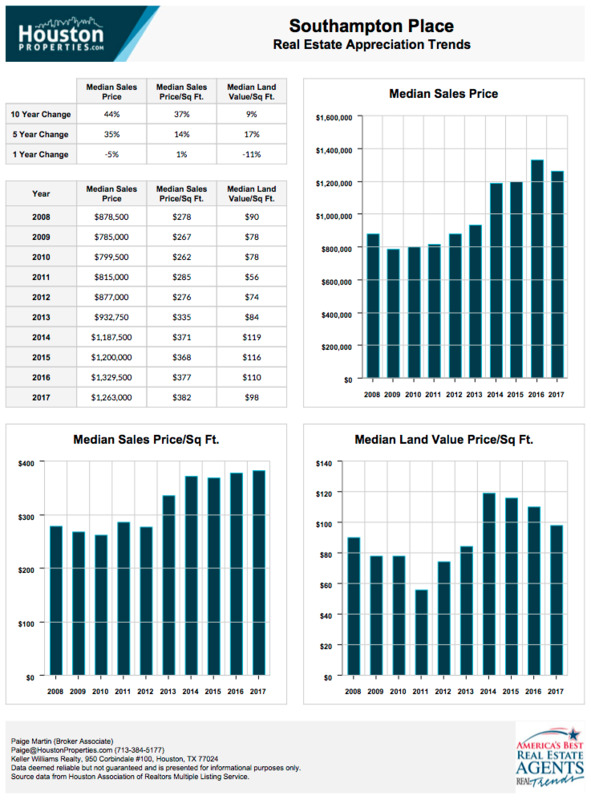 10-year appreciation rates compare 2009 to 2018 and are based on median sales price. 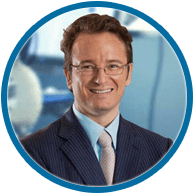 Data is deemed reliable, but not guaranteed. All source material from HAR MLS sold information.